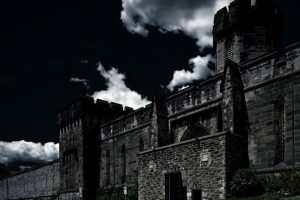 Is Eastern State Penitentiary Haunted? 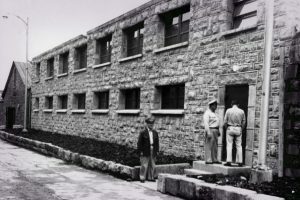 There were reports of cruel and violent things that happened within the prison. 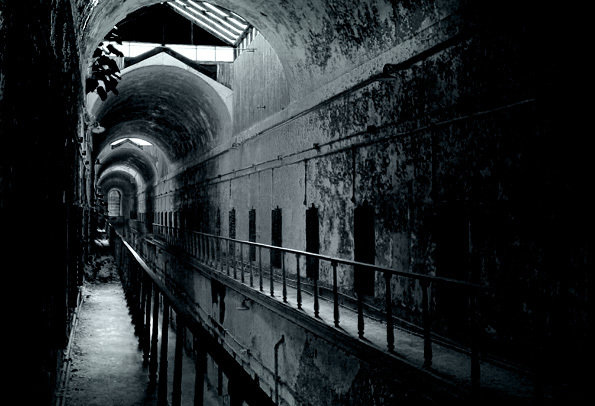 Many people believe these sinister events have stained the prison with paranormal imprints of pain and suffering. 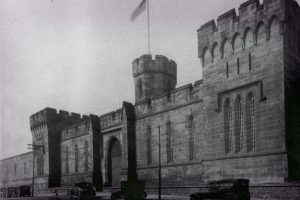 The history, as well as several reports of paranormal activity from guards, prisoners, and visitors, suggest that Eastern State Penitentiary is truly haunted. They had a chair titled “The Mad Chair” where they would strap prisoners to for days at a time with no food or water suffering in their own human waste. The Iron Gag, which prisoners would be forced to wear if they spoke out of line. The gag would be pinched to their tongue and locked to their arms and wrists as they were bound behind their backs. If they tried to move or remove the iron gag, the would gash their tongue. 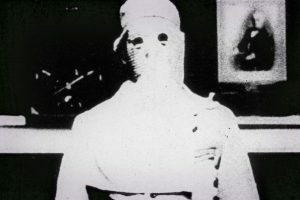 Several prisoners bled to death from trying to tear out the gag. 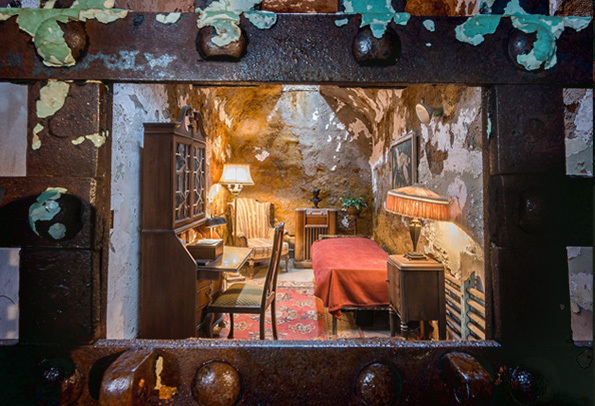 “The Hole” is where prison guards would lock unruly prisoners. Inmates were locked in an underground cell for days or weeks at a time with little to eat or drink, sitting in the dark with no light or air circulation. 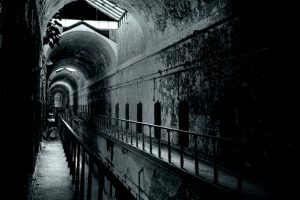 Who haunts Eastern State Penitentiary? Eastern State Penitentiary once hosted some of the most infamous criminals in United States history including notorious gangster Al Capone and famed bank robber, Willie Sutton. Willie Sutton escaped through a tunnel in 1945 only to be recaptured the next day. 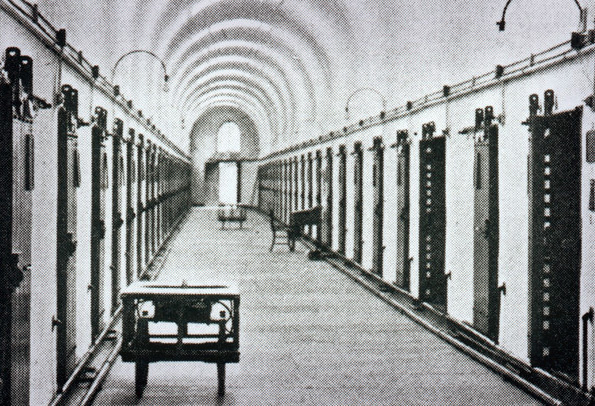 The cackling of prisoners and murmuring voices are heard in cell block 4, 6, and 12. In cell block 6, visitors have noted strange shadows sliding quickly across the walls. 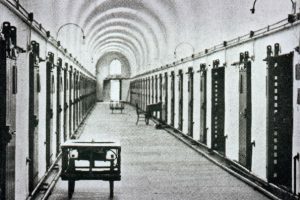 In cell block 4, visitors of the penitentiary have said that they have seen faces in and around the cells. Then there is cell block 12, where visitors have reported blood-curdling laughs and voices whispering in the dark. Cell block 4 visitors have said that they’ve seen faces in and around the cells. Then there is cell block 12, where visitors have reported blood-curdling laughs and voices whispering in the dark. 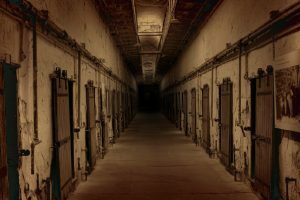 Cell block 12 is where visitors have reported blood-curdling laughs and voices whispering in the dark. A former locksmith of the prison had a wildly supernatural encounter in cell block 4. He was trying to remove a 140-year-old lock from a cell block door when all of the sudden he was overcome with a force and was instantly unable to move. He reported having an out of body experience, and suddenly he could feel years of negative energy and forces being released from the cell. He reported seeing hundreds of pained faces all over the walls of the cell, swirling around like a horrific cyclone. One particular ghost was calling out specifically to the locksmith himself. He still shudders in fear when he talks about that experience to this day. Some believe that this incident was the event that unleashed hundreds of souls that were formerly trapped behind the bars of that cell block. 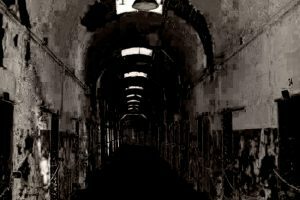 That this was one of the major paranormal experiences that lead this prison to become overtly haunted. Al Capone reported that during his imprisonment, he was haunted by James (“Jimmy”) Clark, whom he killed in the Valentine’s Day Massacre. Capone’s fame allowed him many graces within the prison. His room was elegantly decorated with a radio, wall art, fine furniture, and even a bed with a mattress. However, his stay was far from comfortable. At night, Capone’s terrified screams would be heard throughout the prison. He would weep and wail for “Jimmy” to leave him alone. Apparently, Jimmy was Capone’s personal ghost, as his torment continued when he was moved to Atlanta US Penitentiary and eventually Alcatraz. On a separate note, Al Capone’s ghost has been said to frequent the 4th floor of the haunted Arlington Hotel. 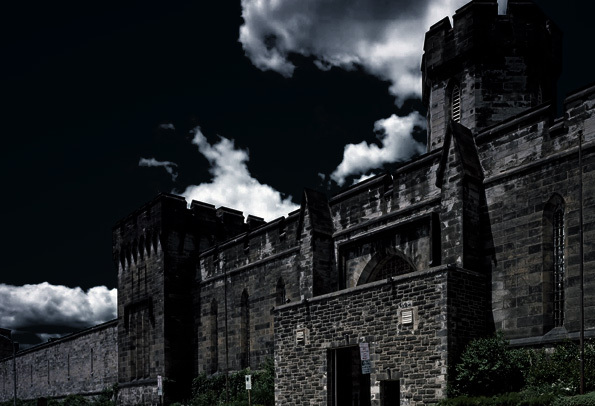 Eastern State Penitentiary has been featured on several paranormal shows including Ghost Adventures and Ghost Hunters as well as several other paranormal groups such as The Paranormal Warehouse. 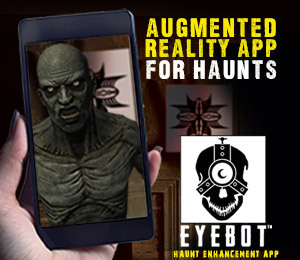 You can watch their review of this haunted place by clicking here. 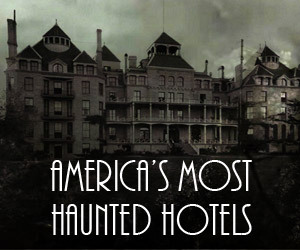 On top of all of the paranormal, ESP also hosts one of the nations largest haunted houses every Halloween. 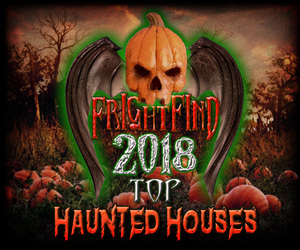 Terror Behind the Walls has been featured on the TODAY Show and in Forbes magazine as one of the premier haunted attractions in the Philadelphia area. On top of that, it’s haunted!